An excellent medium strength one-per-day multi vitamin and mineral tablet. 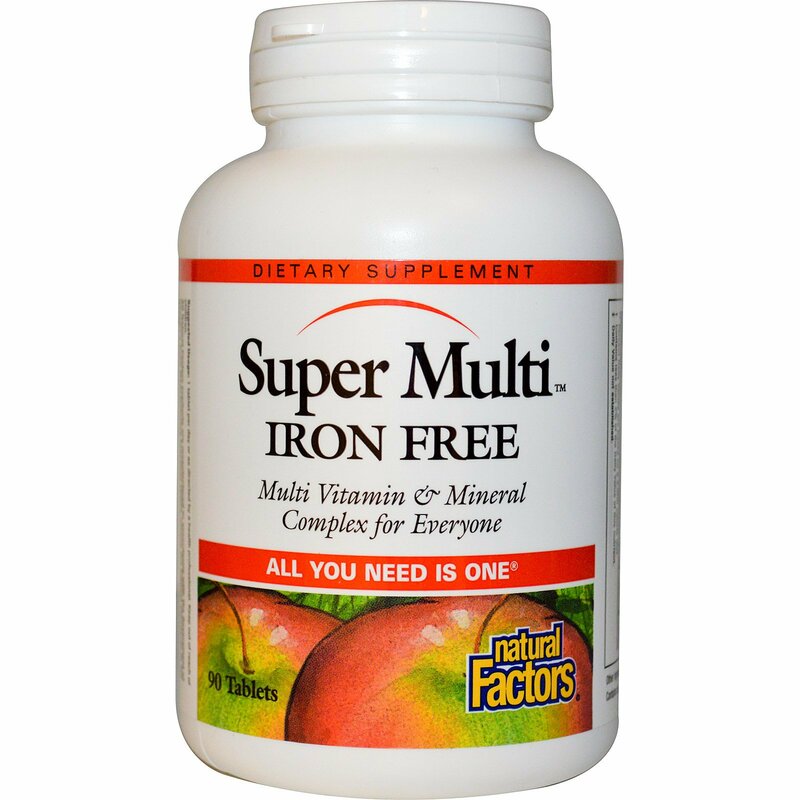 This formula is ideal for men, menopausal women and others not requiring additional dietary iron. New research suggests that fewer people than previously determined require more iron than they get in food. 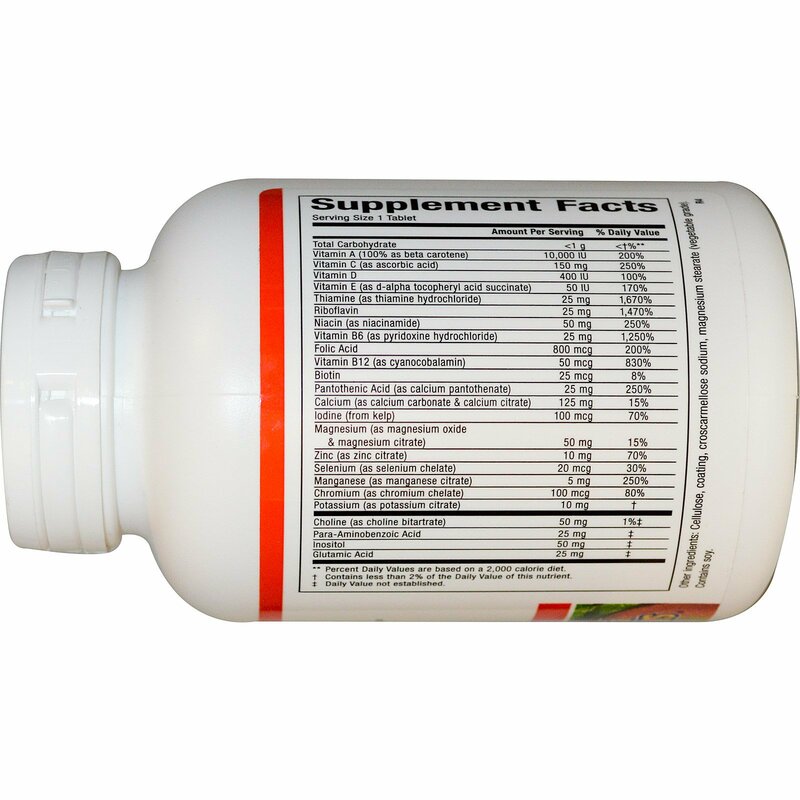 Contains 25 mg of B vitamins, plus extra minerals. Can be used during pregnancy with 1000 mcg of folic acid. Cellulose, coating, croscarmellose sodium, magnesium stearate (vegetable grade). † Contains less than 2% of the Daily Value of this nutrient.